4.2 lbs. 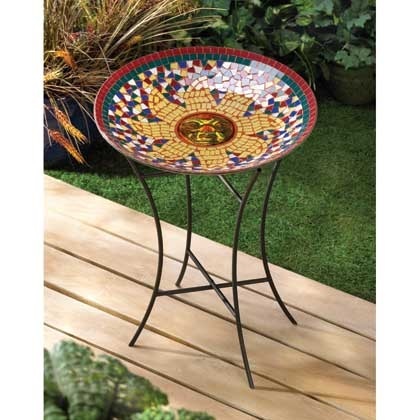 Overall: 15" x 15" x 21" high; birdbath: 15"
diameter x 2½" high; stand: 20" high. Iron and glass.